Céline Dion, Drake, The Weekend, maple syrup worthy of an international smuggling ring. Those are all images that come to mind when you think of traditional Canadian exports. But the land of the free and the home of the brave has many other treasures, often remaining hidden from the rest of the world. Graydon, headquartered in Toronto, Ontario, was once one of those hidden treasures, but has quickly emerged as another international, indispensable Canadian superstar. 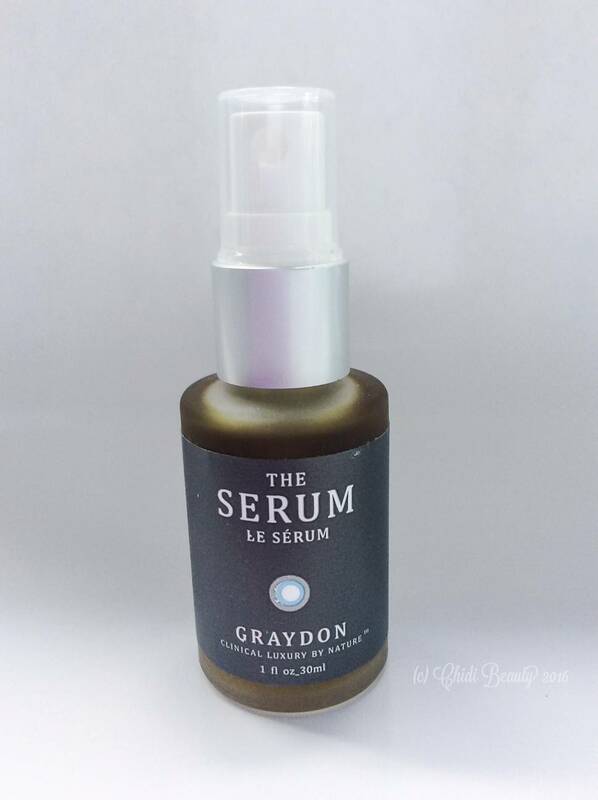 I first tried Graydon’s products last year with a mini sample haul as part of my (seemingly lifelong) quest to find a translucent physical sunblock. While neither of Graydon’s two sunblocks were ideal for my dark brown skin, the unmistakable high quality of the products left a lasting impression. The result of that haul was the discovery of one product I absolutely wanted to repurchase: Face Food Mineral Mist. So I ordered the full size, along with a serum, in an effort to give my face some much needed TLC. 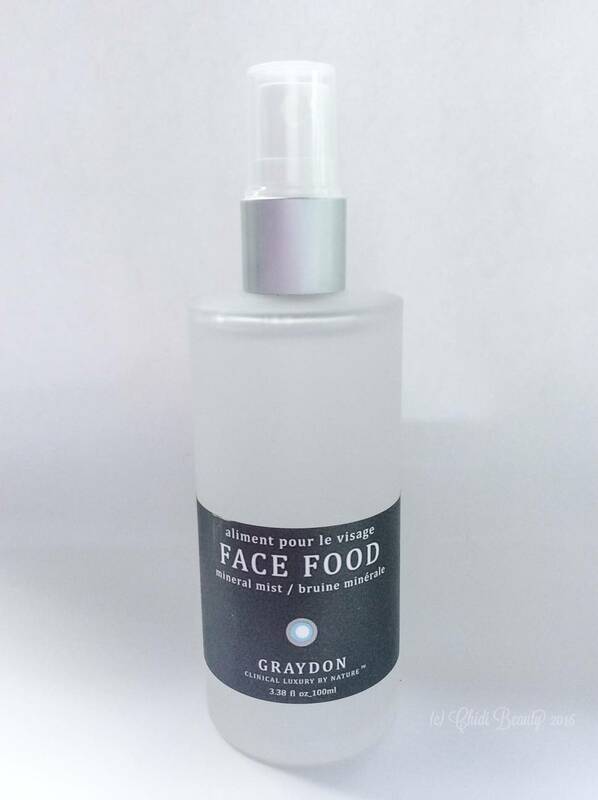 Graydon’s Face Food Mineral Mist is a colourless, odorless tonic crafted to help moisturize the precious skin on your face. Its most appealing quality is the fact that it is made of only three ingredients, and all three are ingredients that you won’t likely find in your other skincare products. The three ingredients are copper, silver and zinc. 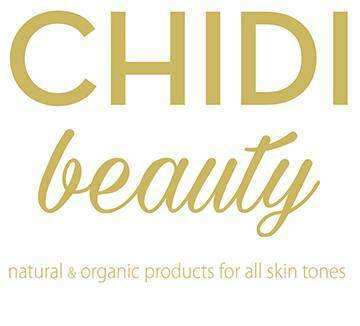 The label explains that “copper will help create collagen to keep your skin supple and toned. The silver will help kill the germs that cause break outs. And the zinc will help fight topical infection.” As someone who has not yet broken the bad habit of touching my face, all three ingredients seemed to be exactly what I need. Face Food Mineral Mist, and other facial mists, recommend application after a facial serum. This seems counterintuitive to me. Why would I apply a liquid on top of an oil? Not being one to do something just because I’m told to do it (hi Dad, I love you! 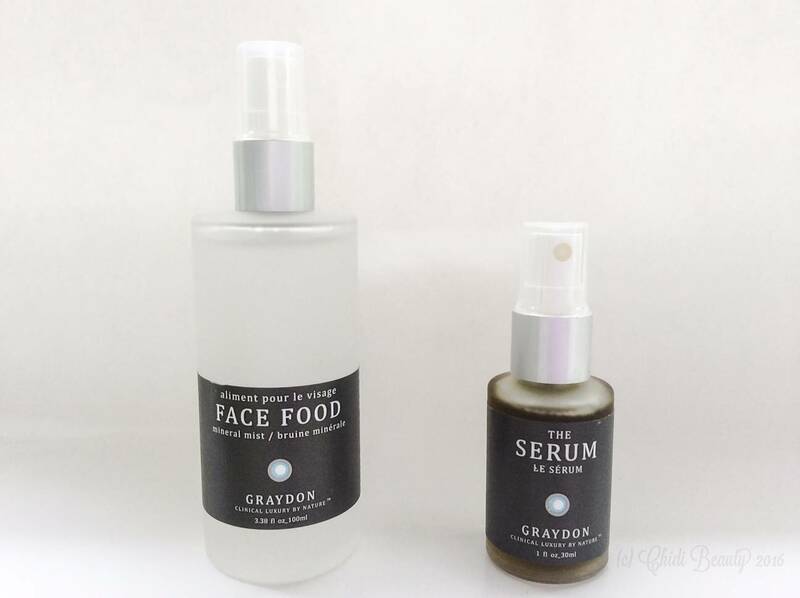 ), I’ve been using Face Food Mineral Mist before the Detox + Renew Serum. This rebellious act has helped make the serum easy to massage into my skin, and left my skin feeling moisturized. Mitchell of Graydon gave some additional, useful advice for men, sharing that he personally likes to use this mist on his face after shaving because it has a calming effect on his skin. Using the mist during the day to rejuvenate your face and moisturizer was another suggestion. Armed with this newfound knowledge, I tried using Face Food Mineral Mist after the Detox + Renew Serum. I was not disappointed. My face still felt moisturized and soft. After regularly using this mist twice a day for about one month, the bottle remains about 1/4 full. This small bottle of unassuming green liquid is probably one of the most potent, nourishing serums you can use to protect your face during the winter. The directions say to massage a small amount of Detox + Renew Serum onto your freshly cleansed face and neck. Using Face Food Mineral Mist first makes this easier to accomplish. One pump is more than enough to cover both. After massaging in this facial serum your skin will be left with a healthy glow that lasts all day, and longer if you need it to. When I first started using this, I applied it one morning and fell asleep that night, electronics in hand, without washing my face. The only facial products I had used that morning were the mist, this serum, and a face cream. When I woke up the next day my skin looked great, felt great, and still had a healthy glow. The Detox + Renew Serum is extremely thick and packed with nutrients from cold pressed berry seeds, turmeric, meadowfoam and other clean ingredients. It smells like castor oil, which isn’t a bad thing because (1) we aren’t drinking it, and (2) that is all the proof I need to know that no artificial fragrance has been added. Because this serum is so thick and enduring, it would be an ideal barrier for all those facing sub-zero temperatures and biting winter winds. If you have oily skin or are prone to breakouts like me, try to use a small amount once a day, every other day, or when your skin needs protecting from the elements. Also be sure to properly exfoliate so your pores don’t become blocked. Having used this serum fairly regularly for about one month, the 1oz/30ml bottle is still 3/4 full. I would be surprised if the bottle doesn’t last for the year, or at least three more months. I’ll update this post to let you know how long it lasts once I actually finish the bottle. The combination of Face Food Mineral Mist and Detox + Renew Serum will instantly leave your face feeling moisturized and soft. No matter what order they are used in. That is why both have earned a spot in my winter skincare routine. What is your favourite facial mist? And serum? In what order do you use them? Name your favourites in the comments section below.